To Queens, New York, where a man marking Father’s Day at the Bohemian Hall and Beer Garden with his daughter and granddaughter is chewing on his grub. Yum. That mayo and onions on his burger a scrumptious. And it’s juicy too, what with the added ingredient: spit. 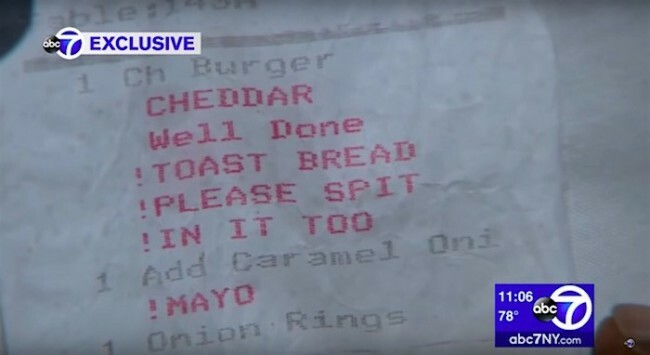 Curtis Mays noticed that his bill included the direction: “PLEASE SPIT IN IT TOO.” Mays complained. He’s no picky eater asking for this and that. Just serve the dead cow as it comes.